The Zambian Central Statistical Office (CSO) has recently released the country’s latest inflation data, showing a declining annual inflation rate of 21.0% in June 2016. Zambia’s annual inflation has been constantly decreasing in the last four months. After a peak of 22.9% in February 2016, it slowed to 21.8% in April 2016 and 21.3% in May 2016. The inflation rate in June 2016 slowed thank to a decrease in food prices by 0.5% from 25.8% in May to 25.3% in June 2016. The decrease was mainly attributed to dried kapenta, dried bream, mealie meal, bananas and other groundnuts. On the other hand, non-food inflation remained at 16.5% in June 2016. 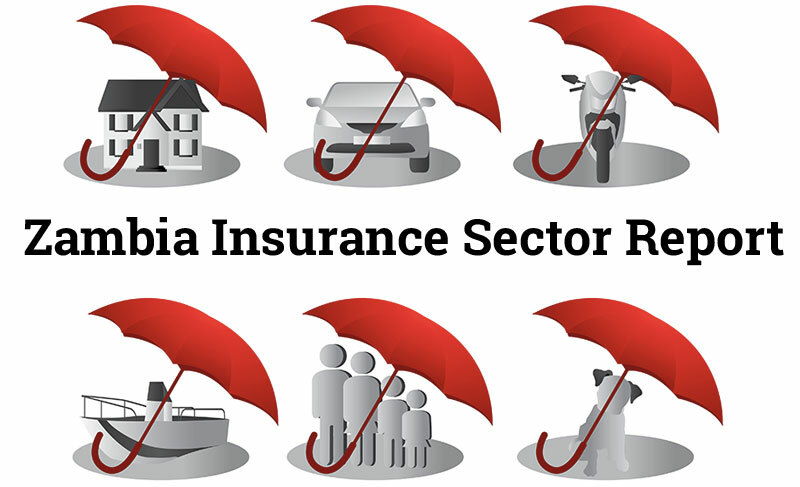 According to the CSO, non-food products represent 8.0% of the total inflation rate in June 2016, while food and non-alcoholic beverages account for 13.0%. Zambia’s annual inflation rate has remained at single digit until in September 2015 at 7.7% but increased sharply from October 2916 with 14.3%, until reaching a historical maximum of 22.9% in February 2016. This period was accompanied by a slump of the copper price from approximately USD 5,500 per tonne to USD 4,500 per tonne. This, combined with electricity shortages which impacted negatively on the Zambian industrial output, contributed to plunge the Zambian Kwacha (ZMW). The country’s currency fell from approximately ZMW 8.56 per USD in September 2016 to an average of ZMW 11.46 in February 2016. The depreciation of the Kwacha, combined with the high level of imports of goods and services, had resulted in heavy pressure on Zambia’s consumer prices. 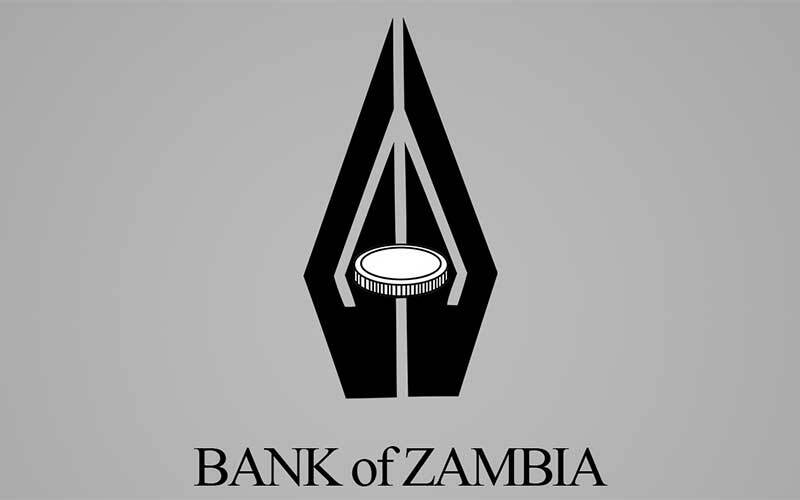 This is why the Bank of Zambia (BOZ) decided to raise the reference interest rate from 12.5% to 15.5% in November 2015 on an attempt to halt the country’s increasing inflation rate. The interest hike helped to ease the growing inflation which almost tripled between September and November 2015. 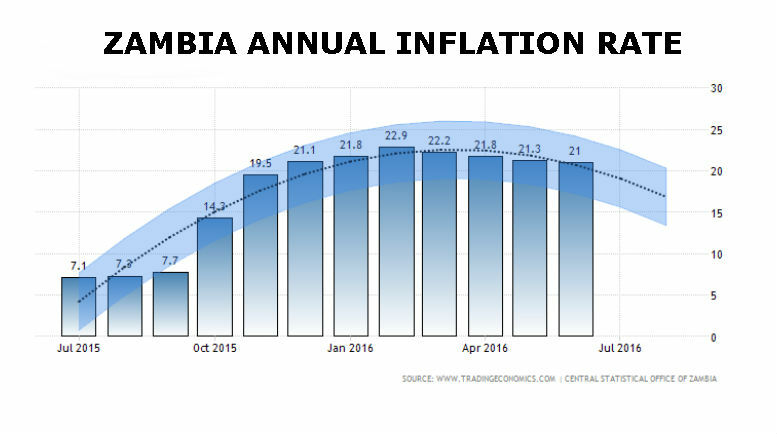 According to Trading Economics, annual inflation in Zambia is forecasted to reach 13.7% by 2020.